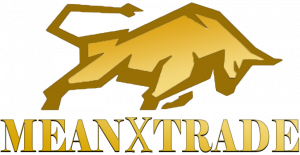 In addition to the 5% staking reward users who Swap at MeanXtrade.com ALSO get a percentage of the unswapped coins after the two year swap period! For Example, if you trade in 2 Million POP through MeanXtrade and at the end of the 2 years, that 2 Million, is a total of 1.2% of all the coins that were traded during the swap, then you get 1.2% of all the remaining POP Coins! So, If 10% of all the POP doesn’t get traded in the swap then at the end of the two year period all the people that Swapped get to split the remainder! All the market data will be tracked. The key is that users need to maintain their MeanXtrade account for the two years until the Swap Round is Complete at which Point their account will be credited based on how many PopularCoins they traded During the Swap. 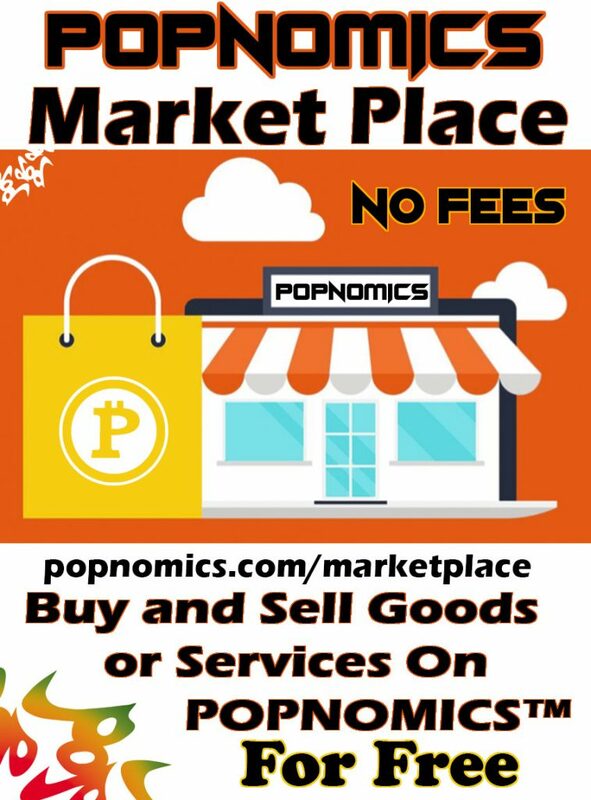 Once your Coins are Backed up and ready to go, you can then send them to MeanXtrade.com where you will find the POP Swap Market Available for you to swap the coins 1 for 1. 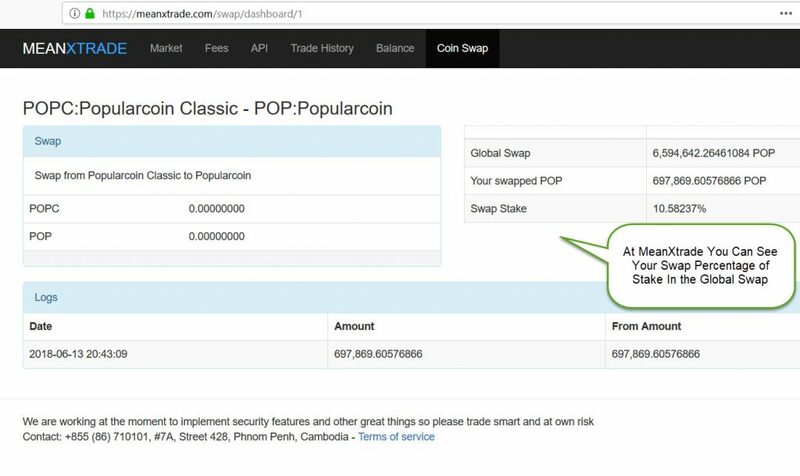 Once you have performed the swap you can leave your POP coins on MeanXtrade.com or you can send them to your Computer App wallet so that you can get started minting at 5%. 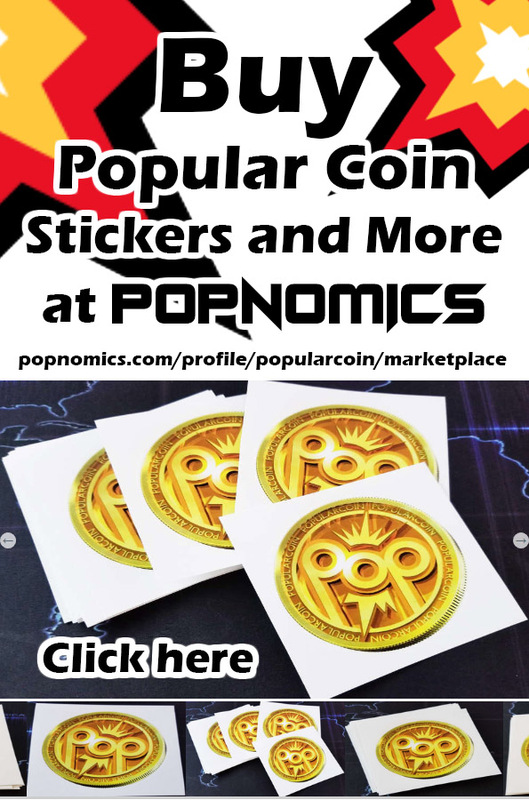 To download the wallet visit https://www.popularcoin.com/#wallets when the new webfront is released. Just let us know in a comment here or on telegram if you have any questions.